Anya worked at the Bairo Pite Clinic in Dili, Timor-Leste during her gap year in 2016. She was responsible for organising a new HIV database that would help the clinic’s staff keep patients on track. The Bairo Pite Clinic was founded by Dr Dan Murphy in 1999. At this time, over a third of all Timorese healthcare facilities had been destroy as a result of the Indonesian militia’s withdrawal. Over the years, the clinic has provided a necessary service to nearly one million people in the Timorese community and has trained over 1000 international medical students, 40 nurses, 26 midwives and 26 lay-midwives. In addition to performing administrative duties at the clinic, Anya’s main project consisted of reorganising the HIV program and creating a new HIV database. She helped to train staff about how to update the database, and she created new forms that would keep patients on track and help staff flag any important issues. 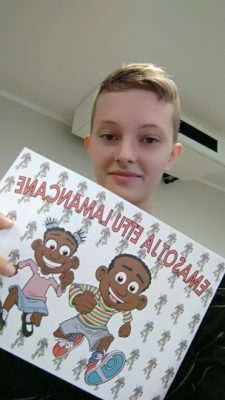 Anya also created educational resources to inform the local community about HIV, and translated a children’s book about HIV called Our Little Soldiers. Anya’s experience in Timor-Leste as part of her gap was transformative and eye-opening. She overcame a complex language barrier by learning to speak Tetun, which allowed her to learn more about Timorese culture. Travelling on her own in a new country helped Anya achieve personal growth in experience greater independence and working in a clinic taught her more about medicine and what life is life as a doctor. I feel so privileged to have been given this opportunity. This will likely be one of the most influential years of my education.